This is a 35mm. 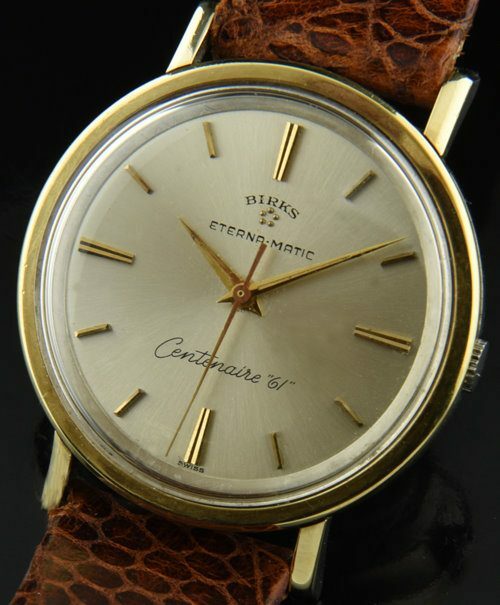 Birk’s Eternamatic dating to the 1960’s and measuring 35mm. across. 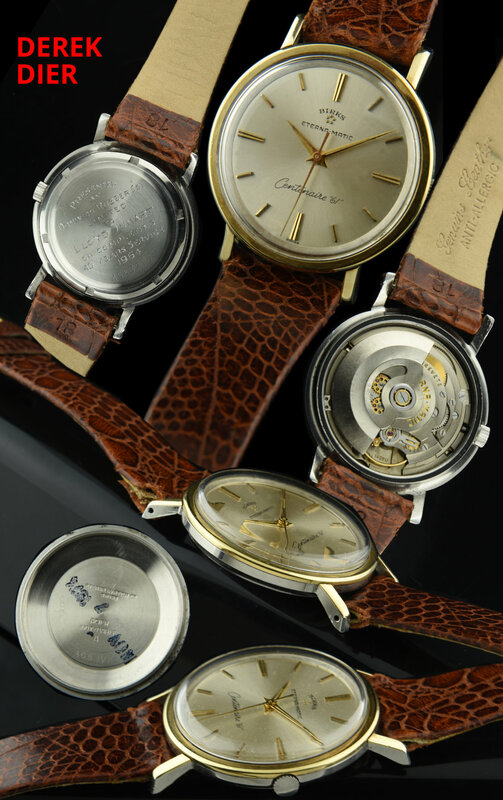 The dial is original with Dauphine hands and sweep seconds. The Eterna-Matic very fine automatic winding ball bearing rotor movement was just cleaned and accurate. The case is gold capped topped and the rest is stainless steel. There is a nostalgic inscription on the case back. Birk’s Jewelry store is Canada’s equivalent to TIFFANY’s. Just $495.